Everton earned a third win in four when Seamus Coleman's 87th-minute goal gave them a deserved 1-0 Premier League victory at Crystal Palace and ensured their season continued to gain momentum. 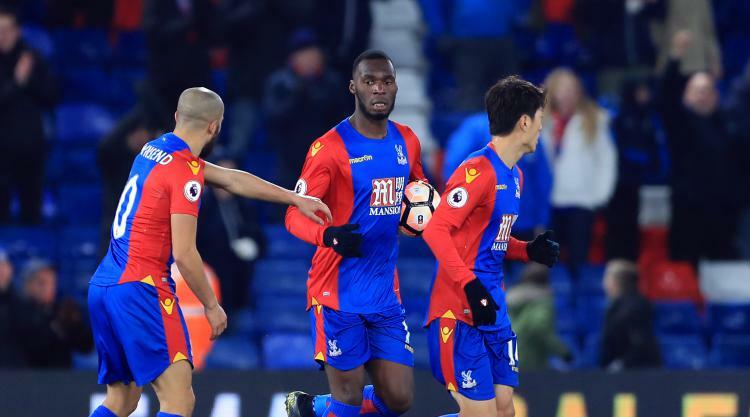 They had last week unexpectedly defeated Manchester City 4-0, but despite that free-scoring performance appeared at risk of dropping two points amid Palace resiliently defending their consistent and convincing attacks. Victory strengthens Everton's grip on seventh place, and leaves relegation-threatened Palace in the bottom three, but the hosts may yet take some consolation in knowing new manager Sam Allardyce's influence is beginning to be felt. Handing B#12million recruit Jeffrey Schlupp his debut, Allardyce retained only Loic Remy, Joel Ward and Damien Delaney of those who started Tuesday's 2-1 FA Cup defeat of Bolton, recalling the others who were rested and taking the increasingly popular decision to start with three at the back, in a 3-5-2 formation. Everton unsurprisingly named the same XI which last week outclassed City, and after Palace - perhaps for the first time under Allardyce - began with some belief, it was the visitors' improved confidence that began to tell. From James McArthur's left-wing cross, Christian Benteke - who had scored twice against Bolton - headed against the crossbar in the game's first notable attack. The second came from Everton - just seven minutes later when the impressive Ross Barkley weaved his way into the penalty area before shaping up and sending his left-footed shot just high and wide - and so it felt did every other chance thereafter. Kevin Mirallas was next to threaten when classily chesting the ball on the turn and shooting at equally-impressive goalkeeper Wayne Hennessey, who saved well. Romelu Lukaku then laid off to Barkley on the edge of the area, from where the midfielder sent a curling effort goalwards that Hennessey again tipped over. In the 34th minute, another combination of sorts between Lukaku and Barkley ended with the ball in the goal, when the striker's shot struck the post and came back to the midfielder for an easy finish, but referee Anthony Taylor rightly ruled Barkley was offside. When Ramiro Funes Mori forced a reaction save from Hennessey with another close-range shot, the impression was of a team getting closer to perhaps the only goal they would need to win, even if Palace were displaying an improved resilience and the first half concluded without one. From a promising position Barkley shot just wide of the far left post in the 56th minute, and in the 65th tested Hennessey with another the goalkeeper saved well by diving low at his near right post. Amid the growing pressure, Allardyce replaced the quiet Remy with Chung-yong Lee to add a further number to his midfield, and Yohan Cabaye with Joe Ledley, while Everton's Ronald Koeman brought on the promising Ademola Lookman for Mirallas in pursuit of the elusive goal. The goal that had long been coming, and which Everton had earned, finally arrived in the 87th minute and left Palace unhappy given it came with Schlupp on the floor hoping for treatment. Tom Davies, who had excelled against City but had largely been quiet, played a through-ball into the area towards Coleman, and from there the full-back powerfully struck towards the near, top-right corner, cruelly ending Hennessey's resistance.